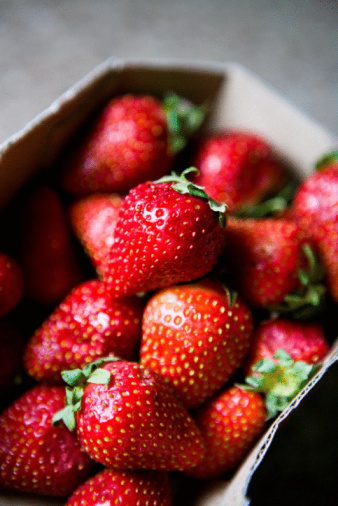 Strawberries are delicious, healthy and easy to eat anywhere because of their small size. When strawberries are accidentally spilled on your carpet, the result is a pink or light red stain on your carpet. Left unattended, strawberry stains can become permanent, so prompt and thorough removal is necessary. 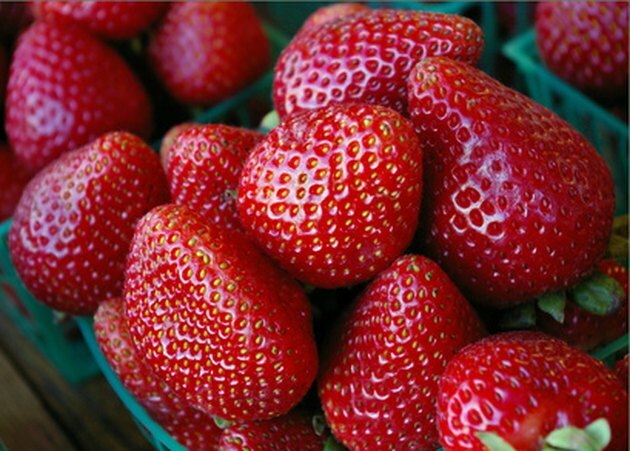 Removing strawberry stains does not require the use of expensive stain-removing chemicals. Simple supplies from home will spare you any chemical exposure while keeping your carpet stain free. The juice from strawberries creates a stain on your carpet. Scoop up any strawberries or strawberry substance from your carpet with a spoon. Toss out the substance in the trash or garbage disposal. Place 1 tbsp. clear hand dish-washing liquid in a bowl and mix with 2 cups cool water. Dip a clean cloth into the soapy solution and squeeze out any excess liquid. 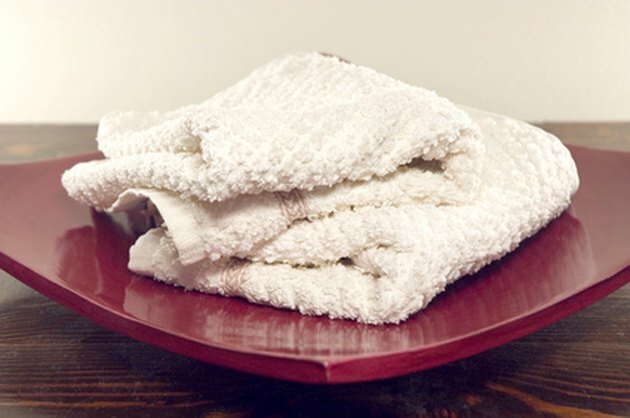 Using white towels for stain removal allows you to see how much stain you've lifted. Sponge the strawberry stain on your carpet with the dish-soap solution. Move to a clean portion of the cloth and apply more soap solution, if needed. Continue to blot until you've removed as much of the strawberry stain as you can. Pour 2 cups cold water into a bowl, then add 1 tbsp. household ammonia. Mix the cleaning solution with a spoon, then soak a clean cloth in the solution. Wring out excess ammonia solution so the cloth is as dry as possible. Dab at the stain with the ammonia-dampened cloth. Move from the exterior portion of the remaining stain in toward the middle. Continue to blot until no further strawberry stain transfers to the cloth. Mix 2 cups cool water and 1 cup vinegar in a bowl. Blot the last traces of the strawberry stain on your carpet with the vinegar solution. Dampen a clean cloth with plain water and press it into the carpet to rinse. Wick up moisture from the carpet by placing a few dry cloths over the site of the stain and pressing them into the carpet. Continue to wick up moisture until no more moisture transfers to the cloths.